It took a single day for David Brevik, Diablo’s foremost creator, to realize he was wrong about the game that would turn out to be his studio’s big break. As it was originally conceived, players marched their warriors through the game’s dungeons one step at a time, taking turns with the creatures around them to move and attack. 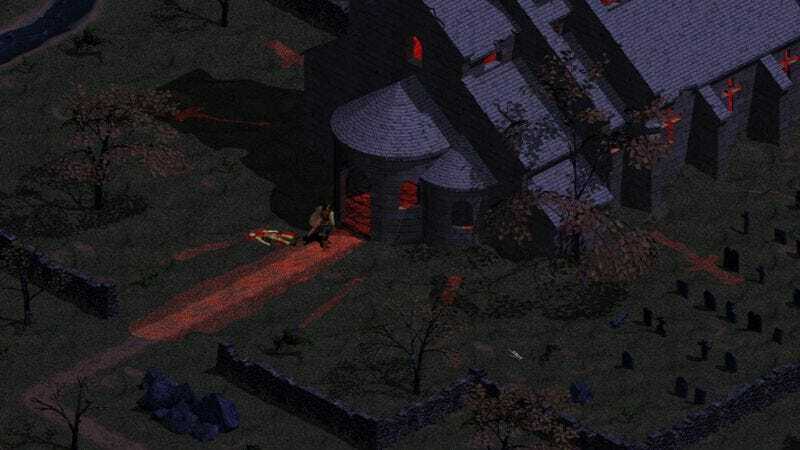 But shortly after agreeing to publish Diablo, one of Blizzard’s founders insisted the game had to change: The strategic turn-based pace had to be jettisoned in favor of real-time hacking and slashing action. After some convincing, Brevik sat at his computer, spent an afternoon tinkering with Diablo’s code, and, as he put it, gave birth to a new genre of video game. The game Diablo became after that fateful day will turn 20 on December 31, but Brevik’s baby is more relevant than ever. For better and worse, the concepts that made it tick—a couple id-tickling elements cherry-picked from classic role-playing games and combined with a ceaseless hunt for stuff in a world that changes every time you play—have found their way into every kind of game there is, from blockbuster first-person shooters to sports games and indie hits by tiny teams. The blatant clones that were pumped out after the game’s release, and even more vigorously after its stellar sequel became a global phenomenon, have mostly dried up. Instead, it seems like every game these days has a little Diablo in it. Its hook is simple. Your hero gets stronger as they kill monsters, which you do by clicking on them with your mouse, and the stronger you get, the better stuff—swords, bows, armor—you can find or buy to help you become even stronger. That twofold progression, your character growing gradually through action while the occasional great item rises from the heaps of useless garbage and gives you a rare leap in strength, is a powerful motivator. There’s a definitive end to your journey, but the flow is less about reaching it and more about watching meters fill and numbers rise as you click your way there. Diablo II would take this loop much further, adding higher difficulty options where tougher monsters spit out even better junk for players who’d finished the game and restarted on the next tier as they continue their never-ending quest for better gear and bigger numbers. Blizzard itself has done more than any developer to help keep this addicting formula alive. It’s at the heart of World Of Warcraft—including the Diablo innovation of slotting the stuff you find into a color-based hierarchy, a tradition that has been applied to everything from guns (Borderlands) to hoodies (The Division) to snowboards (SSX 2012)—the massive success of which has led to a decade of developers starting to realize just how powerful the allure of this model is. It’s now rare to see a big-budget game, no matter the genre, without that Diablo-esque veneer of RPG concepts to string you along. Even characters with the humblest of beginnings like Lara Croft and the Doomguy need to be leveled up and taught new tricks in their latest adventures. Shooters have been especially savvy in applying the ways of Diablo. Borderlands is essentially a point-for-point recreation, only with randomly assembled guns instead of randomly assembled fantasy weapons. In 2007, Call Of Duty 4 created the contemporary first-person shooter blueprint by giving experience points for competing online and letting you level up to unlock new gear after playing for long enough. Games like Halo 5: Guardians and Blizzard’s own Overwatch take this a step back toward Diablo’s Skinner box grind, where players are at the mercy of random number generators and carefully tuned percentages that determine the chances of getting halfway decent stuff when opening up Magic: The Gathering-style booster packs full of digital doodads with each advancement. And the extreme cases of Destiny and The Division spent months figuring out how to build a better game around their hamster wheels while players toiled away. Diablo in itself was not an entirely new idea. 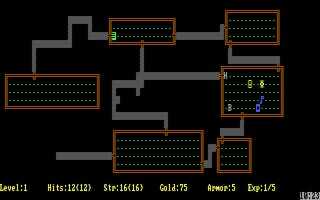 It began as a reimagining of some of Brevik’s favorite games, namely Rogue and its “roguelike” derivatives, such as Nethack and Angband. In these early RPGs, dungeon crawling was done in turns, and surviving their harsh algorithmically generated worlds depended on randomly stumbling across useful items as you played. Brevik’s original idea was to update those difficult, dense games with actual graphics rather than the ASCII text symbols that made up their visuals back in the ’80s. By its final release, Diablo had morphed from faithful roguelike to something far more forgiving and fast-paced, but it retained Rogue’s procedurally generated dungeons and items. It took the mystery, challenge, and replayability that has made the Rogue template such a lasting one and streamlined it into a much more accessible form. It’s not much of a stretch to trace the roots of the modern “roguelite” concept—which applies Rogue’s randomness and complexity to games that aren’t RPGs and has resulted in the likes of Spelunky, The Binding Of Isaac, and FTL: Faster Than Light—back to Diablo, where they were among the underpinnings of a simplistic monster-mauling clickfest. While its individual parts were not unique or exciting, it was the confluence of those underpinnings that turned out to be revolutionary. The randomness, the slight sheen of RPG conventions, the slow drip of desirable goodies among a constant deluge of junk, the instant gratification of its effortlessly repeatable action—when combined into one, it formed a new method for hooking players and keeping them playing. Over the last two decades, that has proven to be one of the most shrewd and influential game design innovations, working its way, in one capacity or another, into nearly every big-budget game that hits shelves. For all the good it’s done to help erase genre lines and broaden the scope of game-design possibilities, it’s also become something of a crutch, a shorthand for developers to give a sense of direction and purpose—and playtime padding—to an otherwise repetitive game. Surely, this trend would have emerged with or without Diablo, but so much of what we love and loathe about modern video games came together during that single afternoon of coding, when David Brevik finally gave in and turned his niche little dream project into one of the most forward-thinking and lasting games of the ’90s.